Heel Pain http://www.swpodiatry.co.uk/common-conditions/heel-pain/ is one of the most common complaints treated by the team at Maidenhead South West Podiatry (SWP). Plantar Fasciitis is one of the terms used to describe heel pain, however, there are a number of conditions that result in pain in and around the heel. Pain on the bottom of the heel. Pain in the arch of the foot. Pain the is worse in the morning. Pain that increases over a period of time. During an initial consultation with our experienced podiatry team, we will fully assess your feet and take a full history of your symptoms. 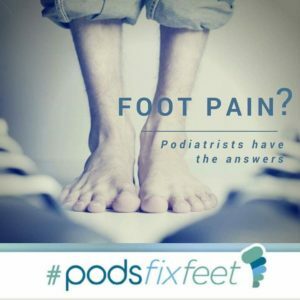 Your podiatrist will discuss a specific treatment plan for your condition and organise a unique management plan to reduce your symptoms and improve your condition. We also have a video library of rehabilitation exercises in our patient resource which your podiatrist can discuss with you. The team at Maidenhead are experts in treating the foot and ankle, utilising the onsite diagnostic imaging service at The Bridge Clinic. A Gait analysis / Biomechanical examination may be booked following an initial consultation to identify the cause of mechanical stress on the plantar fascia or foot structure, caused by walking or running. An infra-red pressure assessment http://www.rsscan.com/resources/3697-2/ may also be used to provide data to analyse increased forces through your feet. Orthotics are useful for certain symptoms of plantar heel pain which are prescribed to you to improve symptoms and offload areas of the feet caused by mechanical inefficiencies. 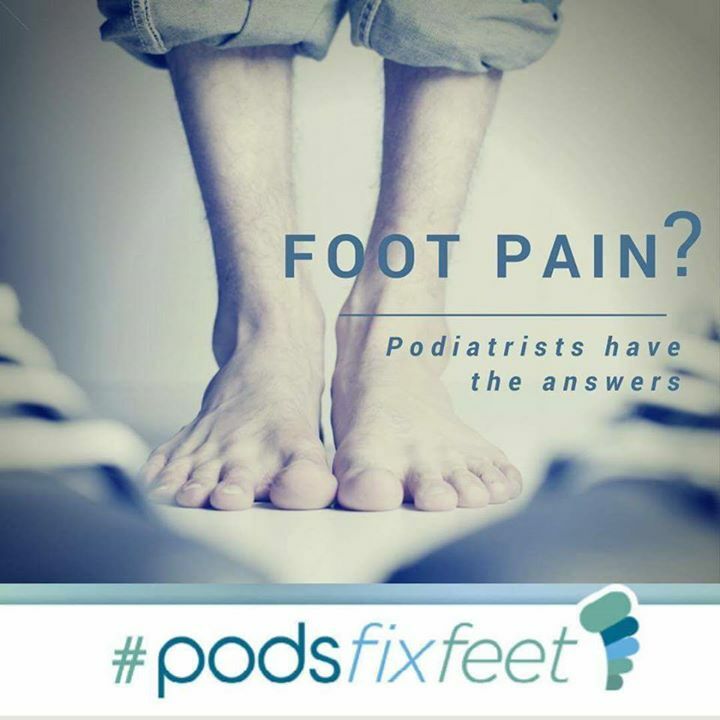 Speak to our experienced reception team to book an initial consultation today on 020 7164 6607 or online http://www.swpodiatry.co.uk/book-appointment/. PTTD is the most common form of adult acquired flat foot. Flat feet are common and are usually normal, unless patients develop pain or over use injuries such as sports injuries or plantar fasciitis. PTTD is a complex multifactorial pathology of the foot and ankle which has 4 clear clinical stages. The tibialis posterior tendon is a large tendon which arises as a muscle on the inside of the calf and becomes a tendon around the inside of the ankle, which then inserts into the arch. This tendon is responsible for maintaining the arch of your foot and is susceptible to trauma and injury. Posterior tibial tendon dysfunction ( PTTD ) is an over use of the posterior tibial tendon, where patients develop ankle pain along the inside of the ankle. The posterior tibial tendon can stretch, elongate and microtrauma within the tendon can occur, which damages the tendon’s structure. The arch can collapse and further extensive musculoskeletal disorders can occur if it is left untreated and unmanaged. PTTD is the main cause of “adult acquired flat foot”. X-ray, MRI or ultrasound can also be useful. Nail surgery is performed in Maidenhead and Wimbledon. Nail surgery is a routine minor surgical procedure, completed under local aesthetic. Our team of foot specialists provide this long term treatment at The Bridge Clinic in Maidenhead and South West Podiatry clinic in Wimbledon. The following blog explains further patient information about the process of nail surgery and the likely aftercare. Nail Surgery – How will the toe nail be removed? After an assessment for suitability for this procedure, two local anaesthetic injections will be injected into the toe/toe’s. After 5 minutes the toe/toe’s will be numb and either a portion of the nail or the whole nail will be removed. This makes the procedure pain free. A chemical (phenol) will be applied to destroy the exposed nail bed so the part of the removed nail never grows back again (95% success). The toe is then dressed with a large bandage. After the procedure you are required to rest and take pain relief (if required). This procedure takes around one hour, you can walk normally afterwards but are required to bring flip flops and cannot drive for 24 hours. The wound takes between 6-10 weeks to heal. How painful is it afterwards? Most patients do not need pain relief medication following this procedure however some patients may experience mild symptoms. If the toe is painful it is advisable to take over the counter pain relief such as Paracetamol and nothing which contains anti-coagulant medication such as Asprin. This procedure is considered a safe and effective way to treat in growing toe nails. Like any procedure there are minor risks involved which your podiatrist will discuss with you during the assessment and when gaining formal consent prior to booking this procedure. SWP Maidenhead Podiatry | Foot specialist service | New podiatry clinic open in Maidenhead at The Bridge Clinic, Berkshire | On site diagnostic imaging and Podiatric medicine. The team at SWP Maidenhead Podiatry are excited to announce that from July 2018 we will be offering foot specialist consultations at The Bridge Clinic, Maidenhead. South West Podiatry (SWP) are at the forefront for providing specialist foot and ankle treatment using the most up to date treatment methods to resolve all podiatry related conditions. SWP Maidenhead Podiatry will have access to onsite diagnostic imaging providing our patients with fast and accurate diagnosis of their foot and ankle pain, ensuring the most appropriate management plan is provided. The Bridge Clinic is a private medical facility located in the heart of Maidenhead serving the needs of patients in the Thames Valley area. The Bridge clinic takes residence in the Old Field Lodge a grade II listed building built by maidenhead’s Count de Crecy, shortly after the Maidenhead bridge was built in 1977 offering beautiful views over the river Thames. Our Podiatrist Thomas Walton and Daleen De Ronde will be providing expert consultations and treatment for all foot and ankle related conditions. South West Podiatry will be providing biomechanical assessments with infra red gait analysis, orthotics, along with nail surgery and routine podiatry. As with all our sites SWP Maidenhead Podiatry will accept most major health insurance providers. We are happy to help guide you through this process to insure that you get the best treatment, for your plan. You may well be covered for treatments that you did not expect, so please mention your insurer when you call. An Ingrowing toe nail can be painful. How can podiatry resolve an in growing toe nail in Maidenhead ? ingrowing toe nail issues within Maidenhead can be conservatively managed, but when symptoms persist our dedicated team of foot specialists can resolve your symptoms with a minor surgical procedure. Nail surgery is a long term solution to a painful condition. During the nail surgery procedure, a portion of the nail or the whole nail can be permanently removed under local anaesthetic using a chemical called phenol. Hard skin near the nail. Tenderness in the skin around the nail. Swelling around the skin and nail. The skin may be bleeding. A curved painful toe nail. Redness in the skin next to the nail. The toe may be hot. Pus or infection may be present near the toe nail. Footwear – ill fitting shoes and footwear which are too tight. Inappropriate cutting – leaving spikes in the nail which pierce the skin. Injury – Dropping an object on the nail or sports such as running causing pressure on the nail. Hereditary nail conditions – Abnormal curves in the nail. Deep/wide footwear giving you more space around the toes. Soaking the feet in salt water and using antiseptic cream such as savlon. Conservative cutting of the nail completed regularly by podiatrists. Nail surgery – Removal of part of the nail or the whole nail. Foot and ankle sports injuries and orthotic intervention are managed by our foot specialist team in maidenhead. With the recent launch of our new podiatry clinic in maidenhead, we are proud to offer an advanced orthotic and insole service at the bridge clinic in Maidenhead. Orthotic treatment and insoles are widely used to reduce foot pain and prevent musculoskeletal injuries such as heel pain, plantar fasciitis and Achilles tendon pain. Before Custom/Bespoke orthotics can be manufactured, a thorough foot posture and gait analysis must to completed. A cast of your feet must be taken for the production of custom manufactured orthotics. This is an extremely skilled process requiring years of experience and expertise to design your orthotic device. Casting or moulding your feet involves the Podiatrist holding the foot in a specific position, relative to your leg. A 3D scan, plaster mould or foam box impression can be taken to complete this process. Your foot impressions are 3D digitally analysed to help, reduce tissue stress, re-distribute plantar foot pressures correct any functional abnormalities found during the biomechanical examination. An infra red pressure analysis is also taken during your assessment and your analysis will be discussed. What are orthotics and how can they help you? The college of Podiatry have launched this interactive orthotic educational video. The most common problem that our Podiatrists hear in our clinic is “my orthotics cannot fit into my shoes ! We work with you to find solutions to orthotic therapy, working with your footwear and providing you evidenced based medical treatments to suit your requirements. We welcome new clients to book a new patient consultation at one of our locations.